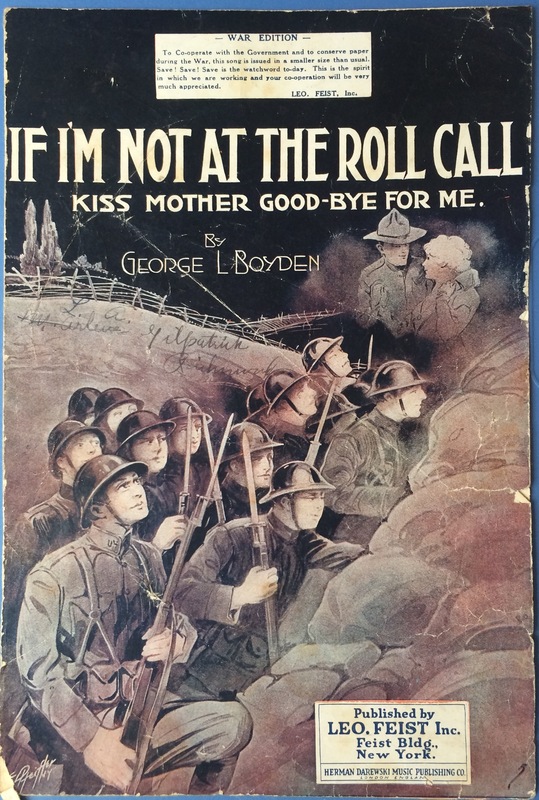 The music industry got right to work producing popular songs about the war. 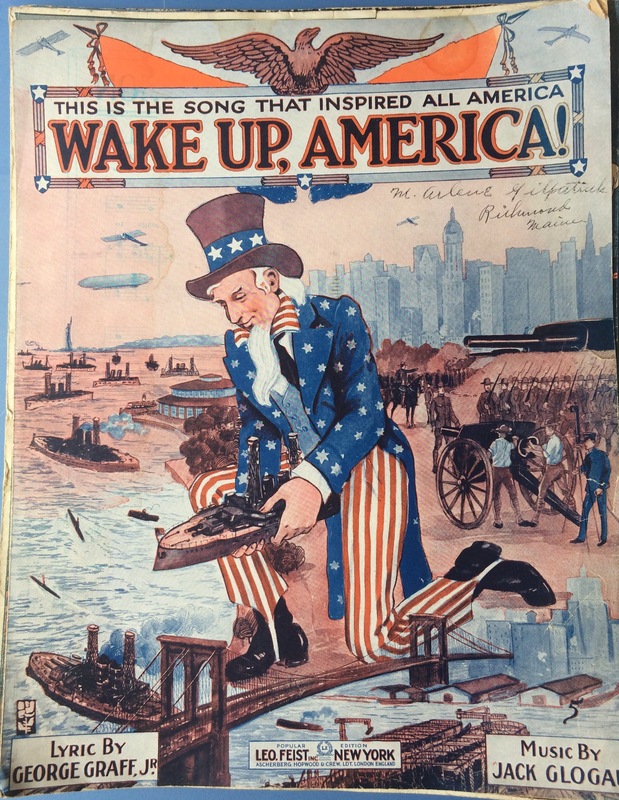 Below is the cover art (often quite elaborate) and lyrics to the chorus for several songs. 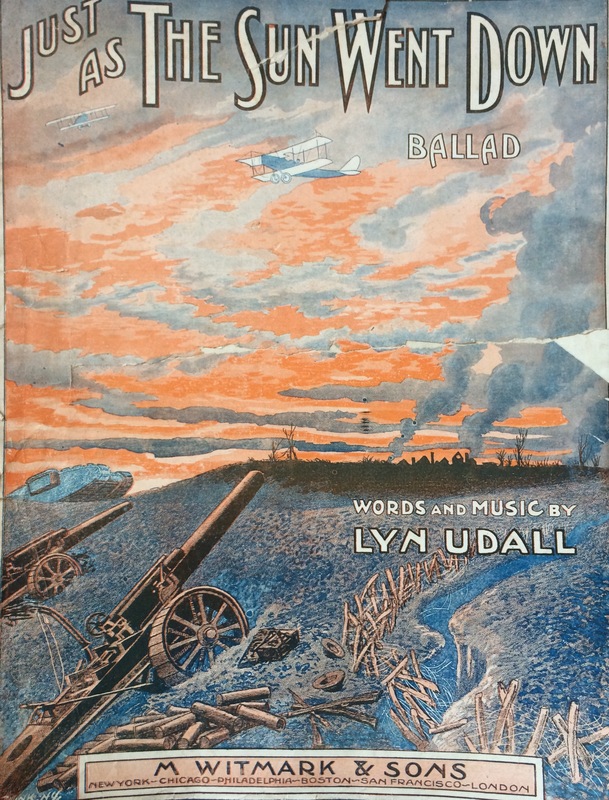 The first two (as well as many other songs) can be found on the website www.firstworldwar.com. 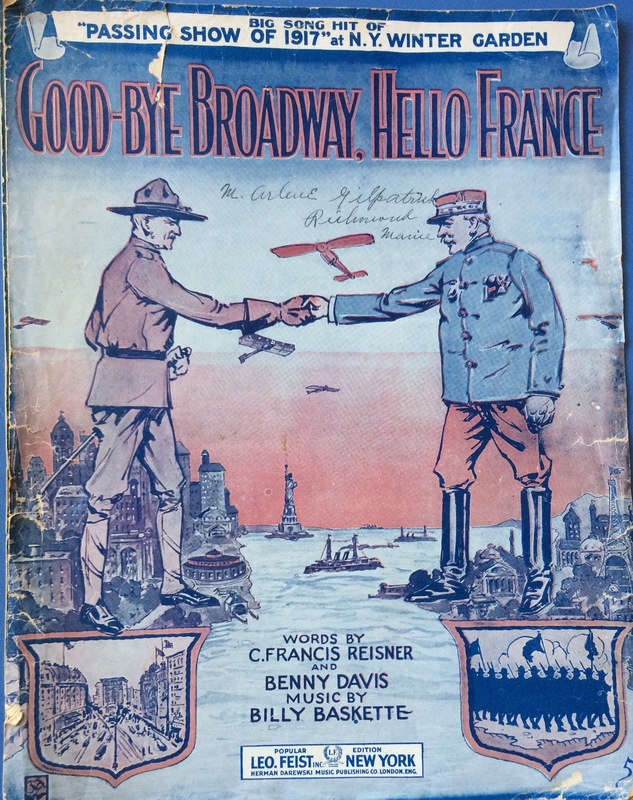 There you can listen to original recordings of this music, just as the folks 100 years ago did. 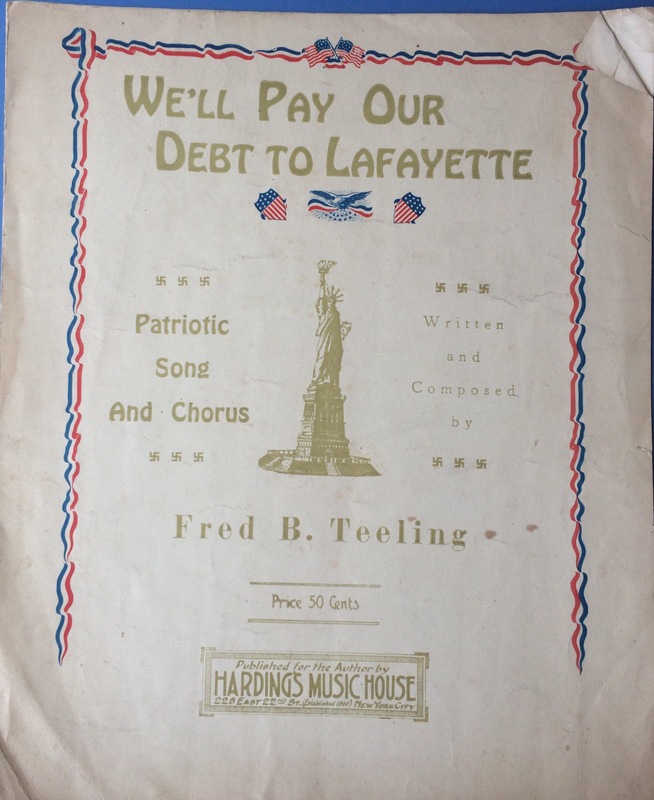 Not sure what our debt to Lafayette and France is? Look up your Revolutionary War history, especially the Battle of Yorktown. We’re going to square our debt to you. Happy and young and gay. 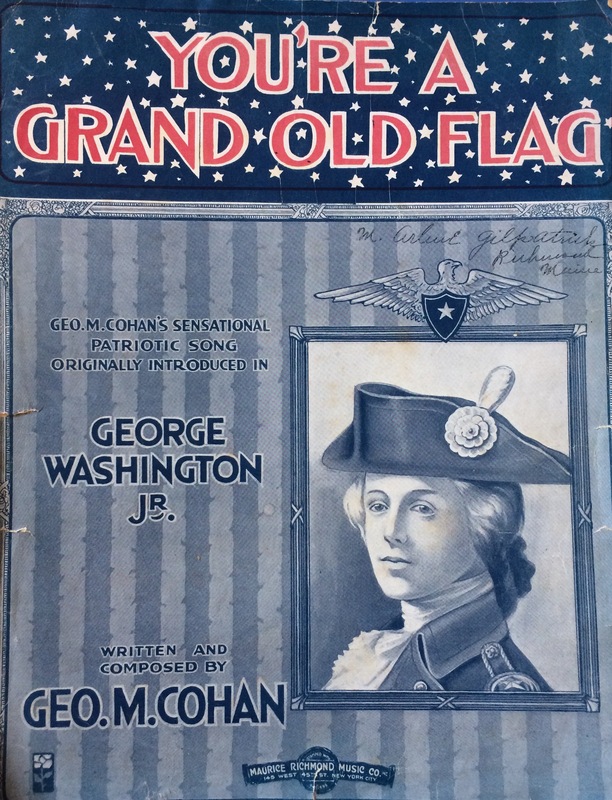 On Kaiser Williams’ flag staff in Berlin. And never were we better off than now. And Lafayette, we’ll pay our debt to you. Just for her soldier son? And kiss her goodbye for me! For our sweethearts and wives? Are our mothers and our homes worth fighting for? America is ready, that’s all! 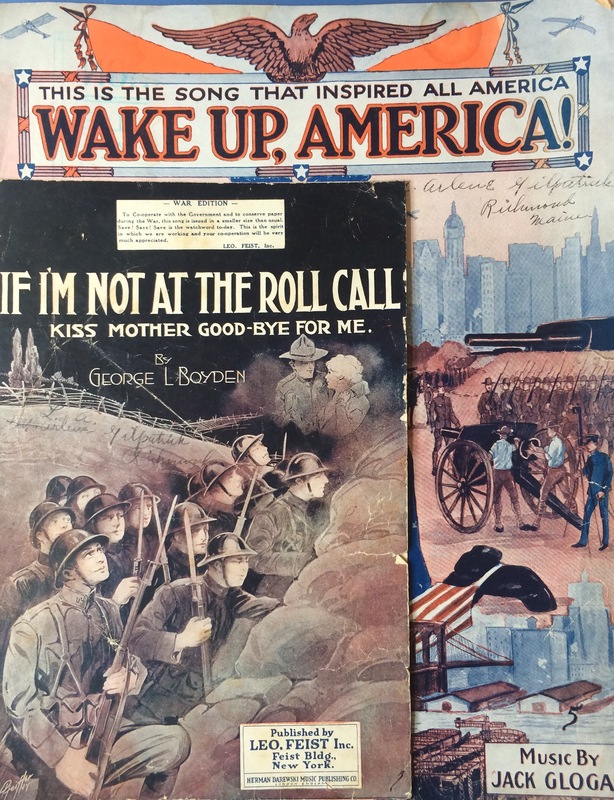 Besides stirring us up to patriotism, the music business wanted to help with the war effort as well. 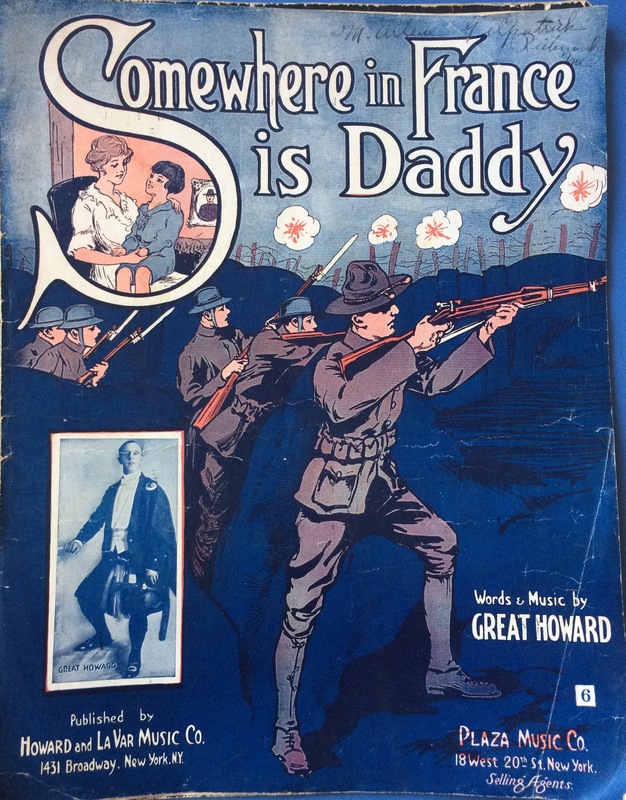 If you didn’t catch the American Experience World War I series on PBS, you may be able to watch it online, or check the schedule for additional airings.